Perfectly tender roasted artichoke recipe, prepared Mediterranean-style with olive oil, capers and a roasted garlic-dill vinaigrette. I dare say, this may become your favorite way to enjoy roasted artichoke! One of my mom’s signature dishes was meat-stuffed artichoke hearts. They weren’t something she made too often because they were a bit of an undertaking. Plus, my brother and I didn’t much appreciate them. Thankfully, our palates matured as we aged. Now, I can’t stop eating artichokes! I keep jars of marinated artichoke hearts. You never know when I’ll need them to fancy up a mezze platter, or to add some substance to an easy couscous salad or this olive oil pasta! It took me a while to warm up to the idea of preparing artichokes from scratch, though. At last, I did. And it was roasted artichoke. If I’m being completely honest with you, roasted artichoke isn’t going to be a quick go-to appetizer. 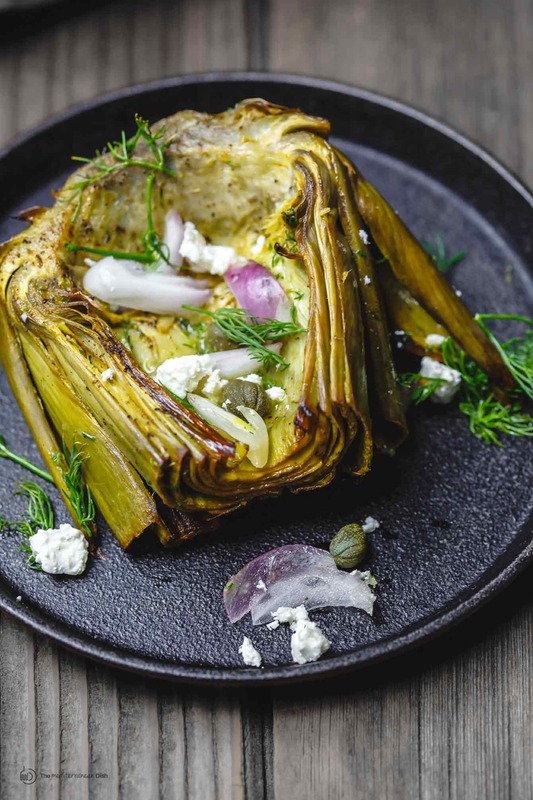 But, this roasted artichoke recipe is not as fussy as you’d expect. And the result is delicate, tender (almost melt-in-your-mouth) flavorful artichokes. Now would be a good time to admit, even-though this recipe feeds 6 people, it was only my husband and I who quickly inhaled these artichokes! The secret to these roasted artichokes? 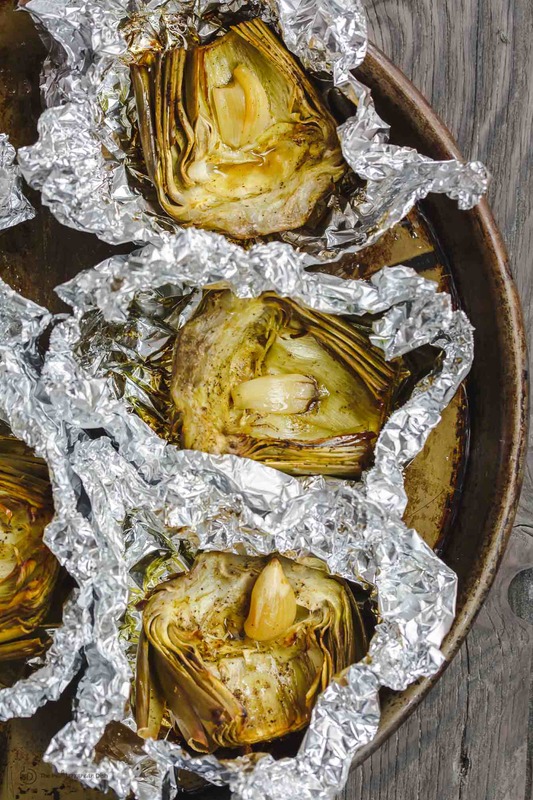 The secret to these tender roasted artichokes lies in the little foil pouches they’re nestled in nicely; a good way to trap the heat and allow the artichokes to cook well. 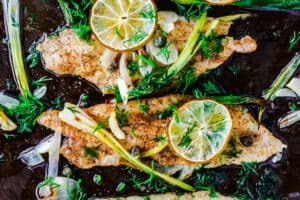 The flavor makers here include quality extra virgin olive oil to aid the roasting, and then a tangy, garlic and dill vinaigrette. I ended up using the garlic cloves that have been roasted right with the artichokes. The finishing touches? Capers, and feta. 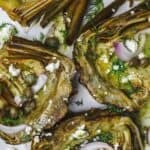 Mediterranean roasted artichoke recipe with capers and roasted garlic-dill vinaigrette. Perfectly tender. Flavor-packed. I dare say, this may become your favorite way to enjoy roasted artichoke! To clean artichokes, first, cut off the stem/stalk. Peel off the tough outer layers by hand. When you reach the softer layers, use a serated knife to cut off about 3/4 inches from the top. Now, cut artichoke in half length-wise. Then, using a sharp pairing knife, remove all the “hairs” on the inside. As you clean the inside of each artichoke half, immediately add 1/2 tsp lemon juice to cover the surface to prevent the artichoke from discoloring. On a large baking sheet, place each artichoke half in a piece of lightly-oiled foil paper that is large enough to fold around. Season artichokes with salt and pepper, and nestle 1 garlic clove in the center of each artichoke half. Drizzle generously with quality olive oil (it’s okay if some of the olive oil pools in the center or overflows onto the foil). Close the foil around artichokes. Roast in the 400 degrees F heated-oven for 40 minutes. Carefully open the foil pouches using tongs. Remove the roasted garlic from the center of artichoke, and close the foils back until ready to serve. Let garlic cool. In the bowl of a small food processor, add the roasted garlic with the remaining vinaigrette ingredients. Pulse until smooth. Remove the artichokes from foil. Arrange on a serving platter, generously drizzle the roasted garlic-dill vinaigrette. Top with shallots, capers and crumbled feta cheese. Enjoy! 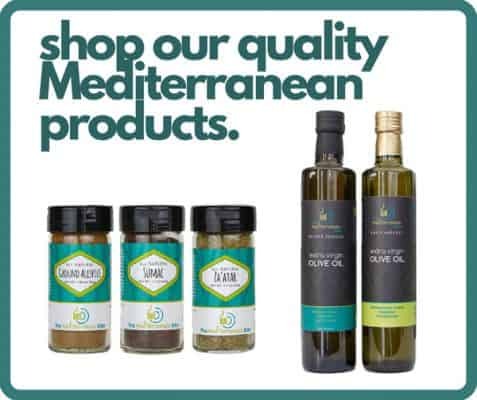 Recommended for this recipe our Private Reserve or Early Harvest extra virgin olive oil, from organically grown and processed Koroneiki olives. This was the best recipe for artichokes I have ever tried! I added orange honey to the vinaigrette and it was delicious. While a little bit of work, it was well worth it! Thank you so much for your recipe! Thanks so much, Fran! So glad you liked it! Very flavorful recipe. 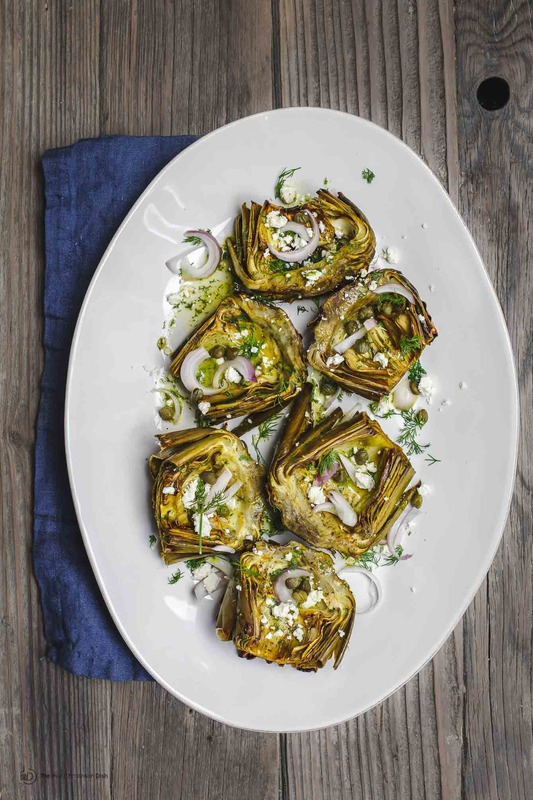 And a great way to cook artichokes and fall in love with them! Thanks for sharing, and keep the good work up! Thank you, Cristian! Means a lot! 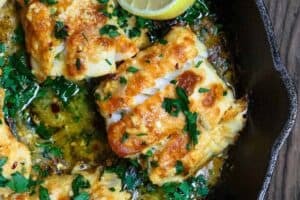 I absolutely love mediterranean food so I’m always looking for new recipes like this, and this one is a keeper! Loved this different style of making artichokes, I usually just steam them with a little garlic butter but this flavor is so much better. Thanks for sharing! Thank you, Sam! glad you enjoyed it! Any recommendations for what to serve them with? Want to serve them for dinner, but worried they wont be filling enough. 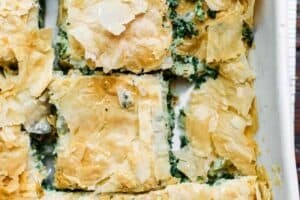 Can I use frozen artichoke hearts, and make it like a for a crowd instead of individual? I want to bring this as an appetizer to my family reunion! 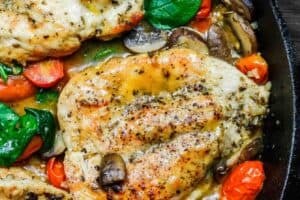 Can you provide directions to make this recipe a day or two before serving? I want to make it, then transport, plate & serve two days later. Thanks! Hi Kathleen, sorry I’m just now able to respond to comments. This particular recipe isn’t one that I have made in advance before, so I’m not so sure how well it would turn out. You can maybe to make it in advance…all the way to step #6. Let the artichokes cool completely and remove from the foil and place in a glass container with a tight lid…refrigerate. You’ll want to save the roasted garlic as well to make the dressing. 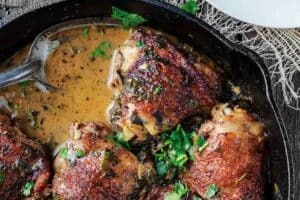 Bring artichokes to room temperature, then place in foil pouches or maybe simply on a baking sheet to warm up in the oven…maybe keep the oven no higher than 350 degrees…the artichokes are already cooked, so you just want to warm them up. 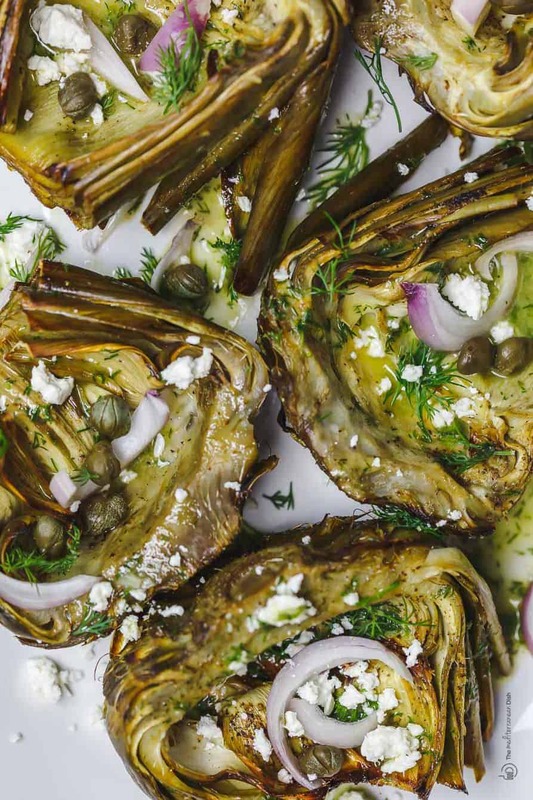 Make the dill sauce and drizzle on warm artichokes. Hope this does help. Hi Suzy, I’m originally from Alexandria, Egypt, and I love all your recipes cause it reminds me of Mom’s cooking! I’m actually following you on Pinterest. Just like you, I hated artichokes when I was young, but now I love them! I remember my mom used to clean them and soak them in lemony water before cooking them. Your recipe looks so yummy and delicious, and I’m pinning it and cant wait to try it! Hi Nagwa!!! So glad to have you here. Alexandria is one of my favorite places on Earth! You must really miss it. I’m humbled to know the recipes here remind you of home and your mom’s cooking. Enjoy! I am making these for the second time for company. They are off the hook and such a different presentation then a standard artichoke. Great flavors. Awesome, Stephanie! I am so so glad you gave this a try!!! Can I ask a really stupid question? These look great! I just don’t know how to eat them! I’ve made artichokes once before and you could only eat the bits at the end of the leaves that you had to peel off. If you make it as directed can you just eat the whole thing, like artichoke hearts? Hi Sara. So sorry I missed this question earlier. Yes, unfortunately, you do eat them the same way only eating the bits at the end of the leaves and then the gorgeous tender heart in the middle. This looks like the perfect side dish. Such a fun and different way to eat artichokes! Great recipe! Thanks, Bintu! We love it this way! I love artichokes and yours look amazing! Pinning for future reference, definitely need to try these! Oh, I can’t wait for you to try these! I love artichokes but don’t make them enough. This recipe is a keeper. 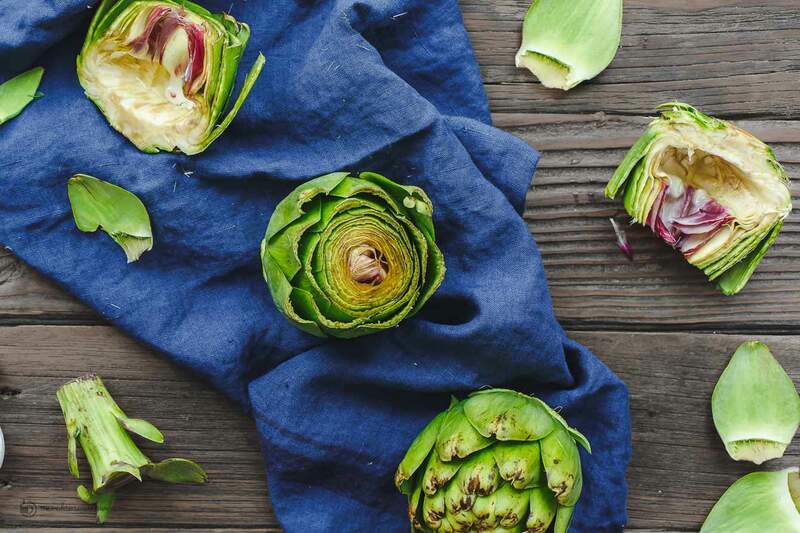 I love artichokes, but I’ve always steamed them – never tried roasting. This looks even easier than my method and I’m going to have to give it a try! Lisa, they are wonderful roasted in olive oil as well! Thanks for checking this recipe out! I have never made fresh artichokes, either. Always grab the can or jar. This doesn’t look too difficult, I think I’ll give it a try! It’s really not difficult. It takes time, but it’s not a fussy recipe. Thanks for checking it out, Beth!